Fastfoam from Angelwax is our Professional Detailing Snowfoam and is used by valeters and detailers throughout the UK and beyond and has been awarded the product title of ‘Recommended Snowfoam’ for 2012 by Auto Express. The super concentrated formulation has been designed to create a blanket of sticky foam which covers the vehicle and clings to its surface before quickly getting to work removing dirt, traffic film and other harmful deposits safely from your vehicle. Fastfoam has been specifically designed to give outstanding results when used through a foam lance or chemical bottle of a pressure washer. Angelwax Fastfoam is available as a concentrate both 1 & 5 litre bottles. Using a foam lance or chemical bottle in your pressure washer, apply a generous layer of Fastfoam using the stated dilution ratios and ensure that the foam remains on the vehicle for a minimum of 10 minutes before removing with a pressure washer. Foams up well and slings well to drag loose particles to the ground. Follow up with two bucket wash! hard to believe that a car could look so damn good with just using the Anglewax foam, it gets to the spots a rag cannot. Angelwax Fast Foam makes my job as a car detailer easy. Taking the hard work out of hand washing cars, not having to use a lot of hard work because it does the hard work for you meaning i have a breeze of a job ahead. I would not use anything else. 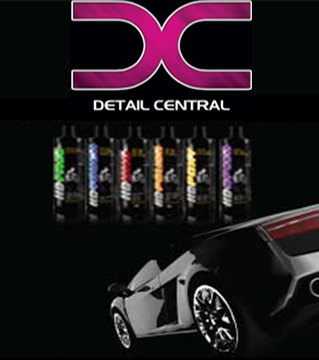 Bought this with the DC Foam Lance what a great combination another great product from DC! If you are looking for a foam party this is the foam for you works great as a pre wash to reduce wash marring, scratches etc. Great price for 1litre, great product and exceptional service! The Anglewax Fast Foam is a great addition to your snow foam lance, it will provide a strong clinging foam that helps soften and remove dirt and debris prior to your standard wash. The foam has a great cleaning ability, and I would give it 4.5 Stars due to the fact it left a heap of foam all over my driveway for the rest of the day that the kids loved jumping in.